What are some places you want to visit? Those are all great places to visit but why limit yourself to JUST those tourist hotspots? What if there were hidden gems on this earth just waiting to be discovered? Some place warm with beautiful sandy beaches, with close ties to ancient civilizations, wonderful food and a mix of modern and ancient culture? Sounds good right? I know of such a place. If you’re like most, you probably don’t know a lot about Cyprus and if you do know a lot than you don’t need to read this. For the rest of you, I’m willing to bet that once you learn a little more about this forgotten frontier, you might actually put Cyprus on your list of places to visit one day. Luckily for you, Cyprus has a healthy tourism industry of over 2 Million tourists ever year. So whether you want to find a villa in Cyprus, a 5 star Hotel or a charming bungalow for two you are sure to find a wide range of accommodations for anyone’s budget. Technically, none of what I’m about to share with you is a secret. Nevertheless, I’m sure you will discover something new. The Romans call her Venus. She is one of the most famous Greek goddesses of ancient civilizations. There is even a statue of her in the Louvre in Paris called “Venus De Milo”. You might be surprised to learn that Venus has her roots in Cyprus where she is known as Aphrodite, the goddess of love, beauty and sexuality. Another interesting fact is that Aphrodite is the mother of Eros the god of love (Eros is known as Cupid) and according to Homer’s Iliad her father was Zeus. Contrary to popular belief, Cyprus is NOT part part of the middle east even though geographically it is close to the middle east. It is less than 70 Km away from Turkey. Nor is it part of Greece even though Greek is spoken throughout parts of Cyprus and much of its culture resembles Greece’s culture. No, Cyprus is its own country and since 2003 it has been part of the EU. Cyprus is also an Island. It’s the third largest island in the Mediterranean right after Sicily and Sardinia. The island of Cyprus is divided in two. The main language spoken in the south, known as the Republic of Cyprus is Greek while Turkish is mainly spoken in the northern part of the island, known as the Turkish Republic of Northern Cyprus. Ironically, nearly 80 percent of the population speak English due to the fact that Cyprus was once a British colony from 1878 to 1960 so you will have no problem understanding and communicating with most locals. 4- What Do People from Cyprus Look Like? I don’t actually know anyone from Cyprus so I was curious what the people of Cyprus looked like. For fun, I looked for famous people who were either from Cyprus or of Cypriot Descent. I found 2 people you may have heard of. Unfortunately, I could not find any famous females. George Michael: Born Georgios Kyriacos Panagiòtou. I was surprised to learn that of all people, George Michael, the famous pop singer made famous for singing in the 80’s group WHAM is of Cypriot descent. Technically only half since his father is a Greek Cypriot and his mother was English. His real name isn’t George Michael either. He was actually born Georgios Kyriacos Panagiòtou. (I have no idea how to pronounce his real name either). Stelios is a Greek Cypriot who founded Easy Jet at the age of 28. He is probably one of Cyprus’s only billionaires and most celebrated Cypriot’s. 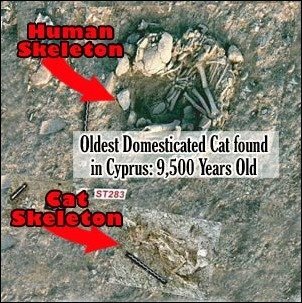 Cats are not native to Cyprus which suggests that cats were introduced by humans. Nevertheless, cats are everywhere on this island. You should in the least make it a point to visit them unless of course you hate cats. Here are two places you can go to see some cats. There is a holy monastery on the Island of Cyprus known as a sacred cat haven. It’s called St. Nicholas of the cats. Legend has it, hundreds of years ago, Saint Helena, the mother of Constantine the Great introduced cats to control the snakes and vermin which infested the area. 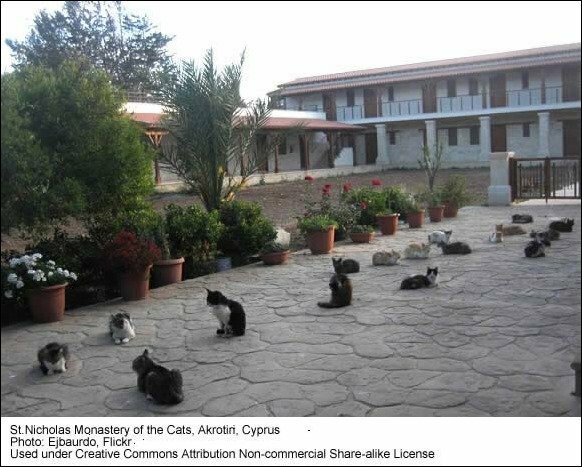 The cats did their job and to this day you can find hundreds of cats roaming the monastery all cared for by nuns through donations and a special grant from the Cypriot government. (warning, many of the cats are supposedly very scrawny looking and not well looked after). You can see even more cats at the Malcolm Cat Sanctuary. Their motto is “Help us make a difference for the cats in Cyprus”. If you go to either of these places, please be sure to bring plenty of treats and plenty of love because the cats love to be pet and fed. You can also make a donation by visiting their website www.malcolmcat.org. Cyprus is an archaeologist’s dream come true. Every year archaeologists from around the world visit the island hoping to uncover stories of lives from the past and discover new secrets of ancient civilization. Recently a discovery was made by some of those archaeologists involving more cats. According to a story in the National Geographic, it was believed that cats were domesticated in Ancient Egypt. However, the oldest skeletal remains of a pet cat was recently found buried inches away from it’s owner in a grave found in Cyprus. This discovery suggests that people have been keeping cats as pets for over 9,500 years. MEOW!!!! You don’t need to be a historian or archaeologist to enjoy or imagine how the ancient people of Cyprus and Romans lived. There are plenty of places for the average person to visit. Archaeological sites like the “Tombs of the kings”, an underground tombs carved out of SOLID ROCK which dates back to the 4th are one of many archaeological sites you can visit. Many of these places are on rough terrain in isolated areas so be prepared to walk and wear comfortable shoes. Although France is known for perfume, it was not the French who invented it. Around 2003, a team of Italian archaeologists unearthed the worlds oldest perfumes and perfume bottles to date in Cyprus. The Italian archaeologist also discovered evidence of an enormous factory that existed over 4,000 years ago. The sheer size of this perfumeries indicates that perfume manufacturing was on an industrial scale. At least 60 stills, mixing bowls, funnels and perfume bottles were perfectly preserved at the site, which had been covered in earth after a violent earthquake around 1850BC. The finds are now on display at the Capitoline Museum in Rome along with several modern re-creations of the old scents. Archaeologists say that the original perfumes were a mixture of olive oils and essential oils gathered from herbs and flowers. Today you can find perfumes created using similar ingredients as the original perfumes in the Ayia Napa markets in Cyprus. I hear the smell is very strong. Due to it’s location, the food of Cyprus is an interesting blend of Mediterranean , Middle Eastern with influences of the many countries who colonised the island at one time or another. You’ll even find African influences. Coriander seeds, cumin, fresh herbs and parsley along with olive oil and lemon juice are just some of the typical things that can be found in many of the local dishes. 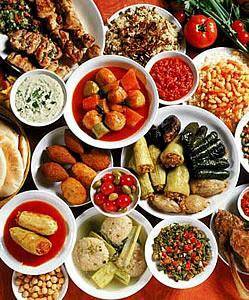 Be sure to try “Meze” which is usually served before a meal and consists of 10 to 15 different small dishes. It’s a great way to try lots of different dishes if you are not sure what to order as your main plate. If Greek mythology, cats or archaeological digs are not your thing than there are of course the miles and miles of beautiful beaches with clear blue water and golden sand just waiting to be explored by you. Cyprus has so much to offer as a travel destination for both families and care free singles. The few things I’ve mentioned above are only a tip of the ice-berg. Question: What do you think about Cyprus?